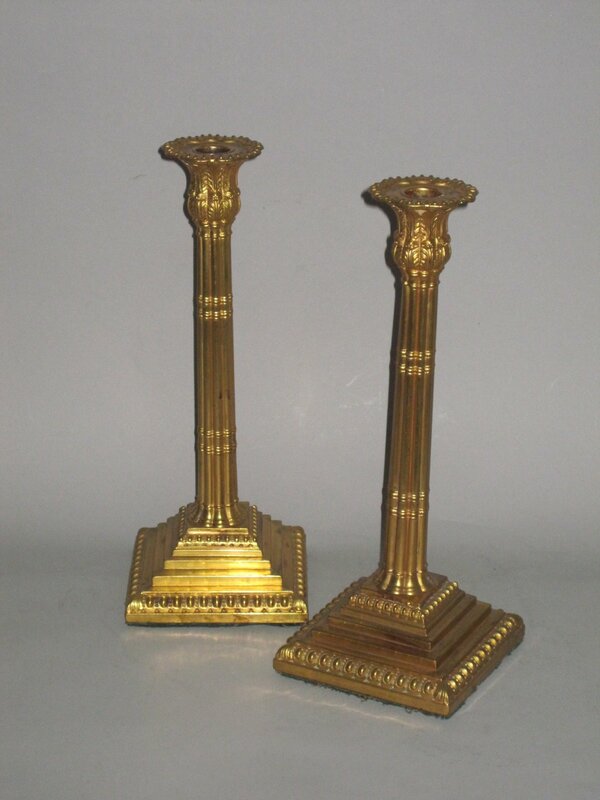 A VERY RARE PAIR OF MERCURIAL GILDED OLD SHEFFIELD PLATE CANDLESTICKS. BY JOHN HOYLAND & CO. GEORGE III, CIRCA 1770. Each with beaded and shaped sconces over leaf capitals, with cluster column stems and raised on stepped and beaded square bases. Rare makers mark to base. This expensive process involved powdered gold boiled with mercury to form an amalgam which was applied to the surface and heated to drive off the mercury leaving the gold applied.